The term &apos;shuttle&apos; is widespread in Spain. This English term meaning &apos;shuttle&apos; is given to the shuttle that connects a train station, bus station or airport, for example, a city or a place where we go to stay on vacation or when traveling due to professional issues . The Costa del Sol is one of the places where they are demanding and that is why Premier is a reference in shuttle service in Fuengirola, Malaga locality is the most visited of the Costa. They come here every summer hundreds of people and it is important to know how they move around the region. Our shuttle option is very efficient and connects quickly and flexibly anywhere on the coast malacitano the place where either the airport or train station high speed is reached. To do this, those seeking specifically the option of a shuttle in Fuengirola only be on the phone and booking service. We will agree with the customer the day and time of arrival of the aircraft so they can go our professional drivers to pick them up as soon as possible and bring them to the selected destination, good hotel, hostel or type of accommodation chosen. Our customer service staff always recommends users not to leave such details to the last minute, especially in times of increased influx of tourists like the present. We must realize shuttle services like this in Fuengirola if at some point before the peak tourist season, will not find this means of transportation. Our guarantee is complete because once the reserve of rental car with driver in Malaga is made for such operations and is fixed and immovable and loans that service with maximum guarantees at all times. The shuttle service is not only in holiday seasons, as is the summer, but throughout the year is available. This has been very hand of the seasonality of tourism in the province of Malaga, for now at any moment are hundreds of thousands of tourists arriving at the airport in the Costa del Sol and require vehicles to move. We took them both to other regions of the province and outside it, coming to Sotogrande, the spanish border with Gibraltar, Almuñécar, La Herradura, etc. Also to Seville, Cordoba, Granada, among others. The rent cars with driver in Malaga is one of the most requested services transfer from Malaga Coast. 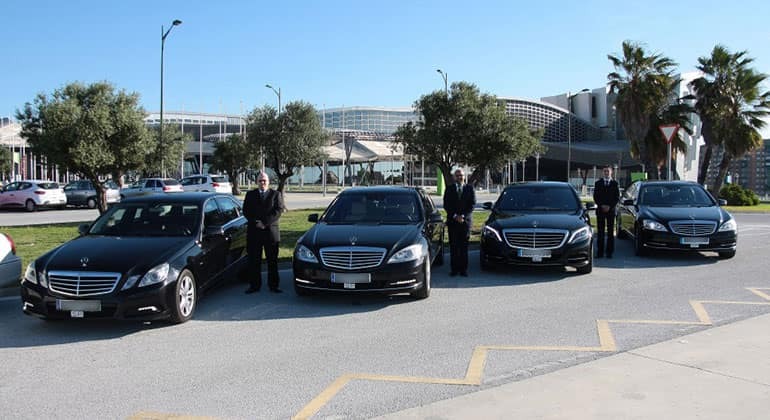 We have a team of professionals working perfectly, experienced drivers who are used to shuttle this option in Fuengirola, Marbella, Mijas, Estepona and other towns and municipalities costasoleños. We have spent many years operating in the Costa del Sol and many people who have already trusted us. Not surprisingly year after year continues to increase the flow of tourists and that&apos;s a key factor, with more and more visitors to Malaga area. 4.6 of 5 based on 1241 votes.